As Samsung gears up to launch its next flagship smartphone, the Galaxy S4, at a media event in New York on 14 March, almost all the features of the device have been revealed in benchmarks. 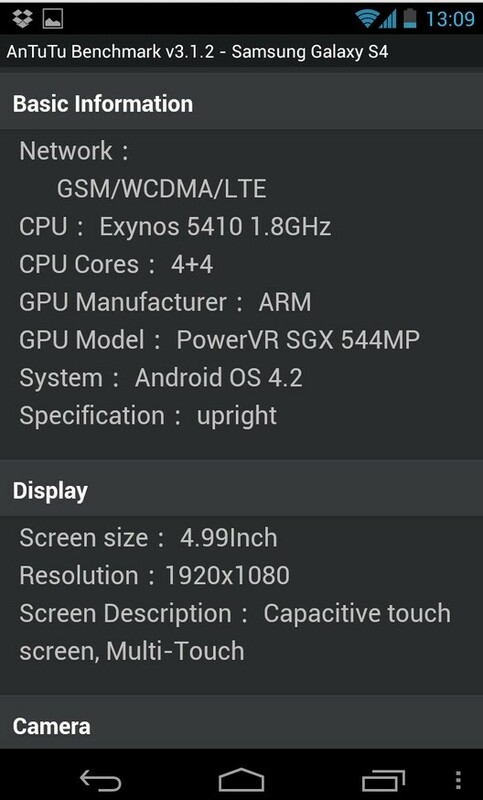 The Samsung Galaxy S4, according to AnTuTu benchmark, will feature 4.99in full HD display with resolution measuring 1920 x 1080 pixels. The device will run on the latest version of Google's mobiole operating system, Android 4.2 (Jelly Bean). In terms of connectivity, the Galaxy S4 will offer Wi-Fi and Bluetooth 4.0 as well as incorporating an LTE chip and will be Near Field Communication (NFC) enabled, notes HDblog. The new handset will have a higher resolution rear-camera than its predecessor, featuring a 13 megapixel sensor while the front-facing camer will have a of 2.1 megapixel sensor. The rear camera will be capable of recording 1080p video. The Galaxy S4, it is is said, could come in two storage variants: 16GB and 32GB. A few days ago the Galaxy S4 was rumoured to use 1.7GHz Snapdragon 600 quad-core processor instead of the company's own Exynos 5. Surprisingly, the latest disclosure suggests that the S4 will integrate the Exynos 5410 chip featuring an eight core processor with each core running at clock speeds up to 1.8GHz. The Exynos 5 chip will feature PowerVR SGX 544MP graphics unit. Like the other high-end smartphones, the Galaxy S4 will also have 2GB of RAM. 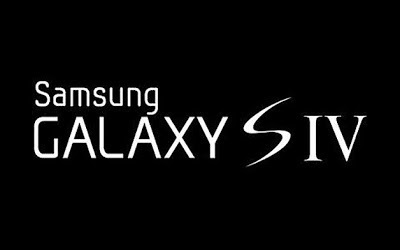 Samsung Galaxy S4 with model number GT-I9500 is expected to come in a single variant contrary to earlier rumours that the Galaxy S4 would be be released in two variants: LTE and non-LTE models. 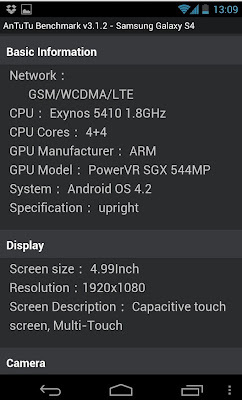 As for performance, the Galaxy S4, in the AnTuTu benchmark test, occupies top spot, beating all rival smartphones including the LG Optimus G, Google's flagship-Nexus 4, both first and second generation Galaxy Notes, the Galaxy S3 and HTC One X+. 0 Respones to "Samsung Galaxy S4 Features Revealed Ahead of Official Announcement"